The Nissan EXA / NX Club - since 1997 - Battery to boot relocation for N12 EXA and ET. As this topic has been discussed multiple time through out this forum, i thought it was high time to actually lay some of the questions and methods to rest. Most of us have at least wondered about this modification, but many have been hesitant to undertake it. This might because of a lack of understanding as to why you'd move a battery from the factory location, or perhaps its one of those things that we want to do but never get around to. 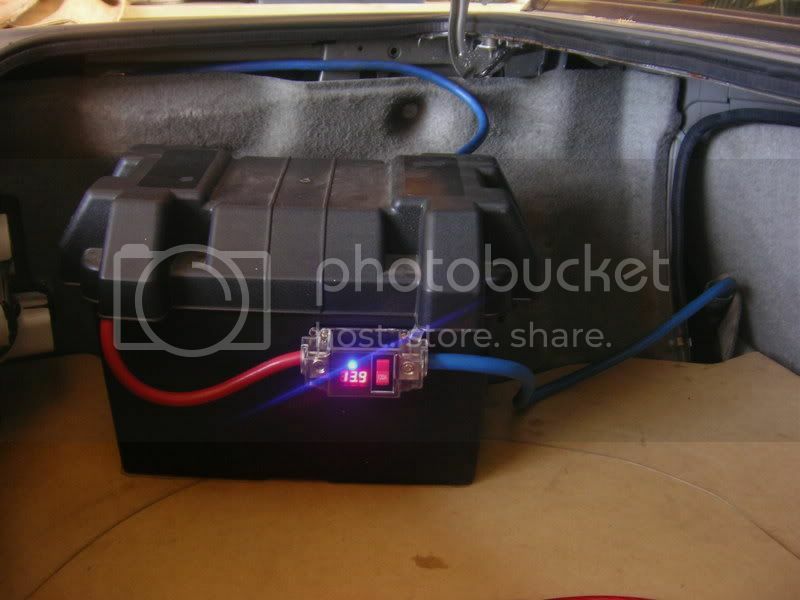 What follows is a brief article with a comprehensive step by step preceedure of how to relocate the battery to the boot of your N12 EXA or ET turbo Pulsar, or for that matter, any other vehicle. There will be different ways in which you can achieve these results cheaper than i have, but i leave the final details up to the reader to choose their desired setup. 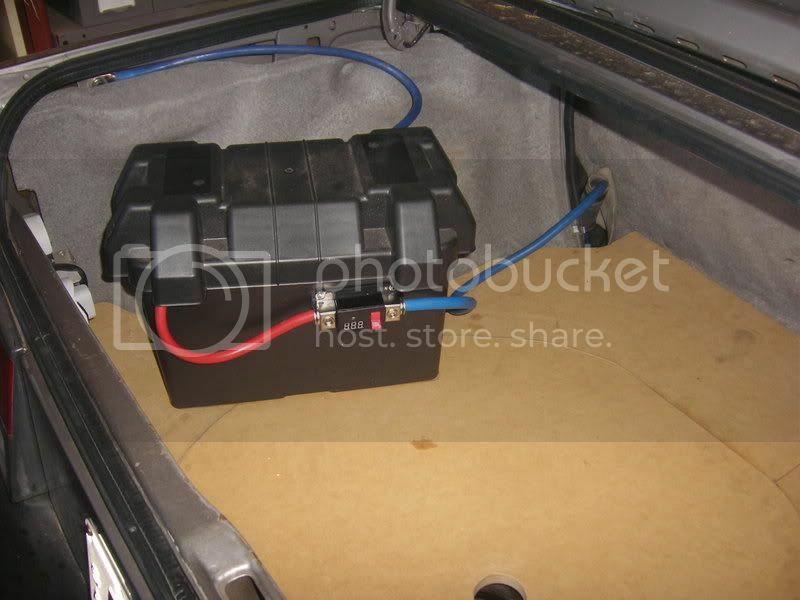 Firstly there are a number of reasons that you would want to put the battery in the boot of your car. Here are some of the reasons i came up with whilst deciding to modify my cehicle in this manner. 1). 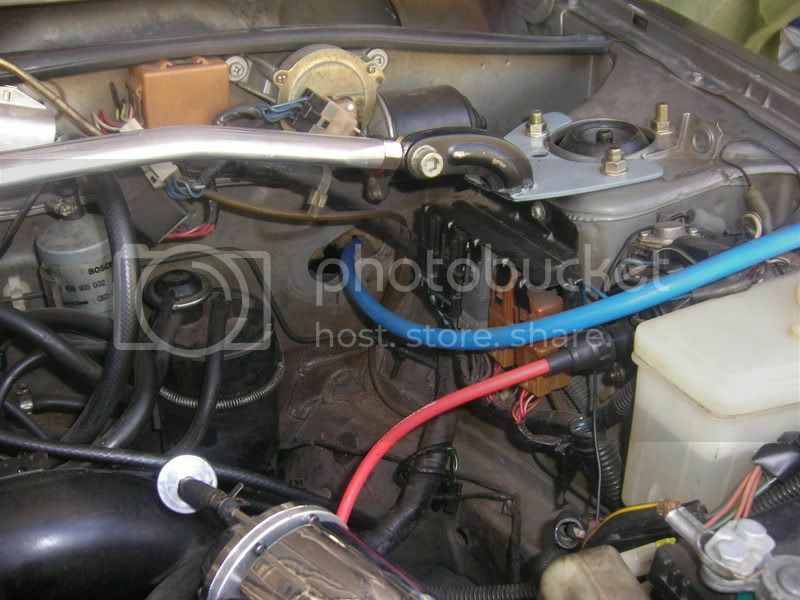 With AFM relocation on the horizon i required space to add a cold air box and to aleiviate some of the room in the under bonnet area for intercooler piping etc. 2). Reduce weight over the front axle when adding an intercooler and allowing th ecar to have a slightly better weight ballance. 3). 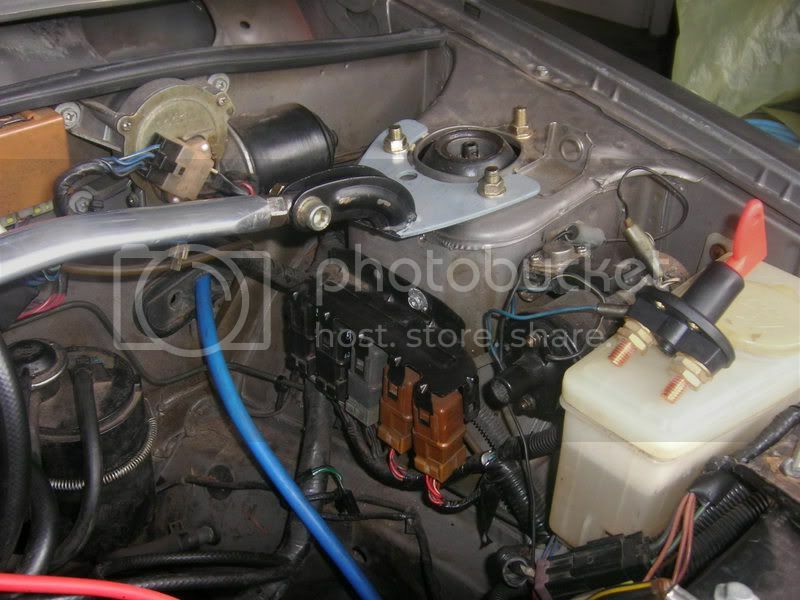 Batteries that are not subjected to the constant change of underbonnet temperature during operation and shutdown and can maintain a relatively even temperature range will last longer. 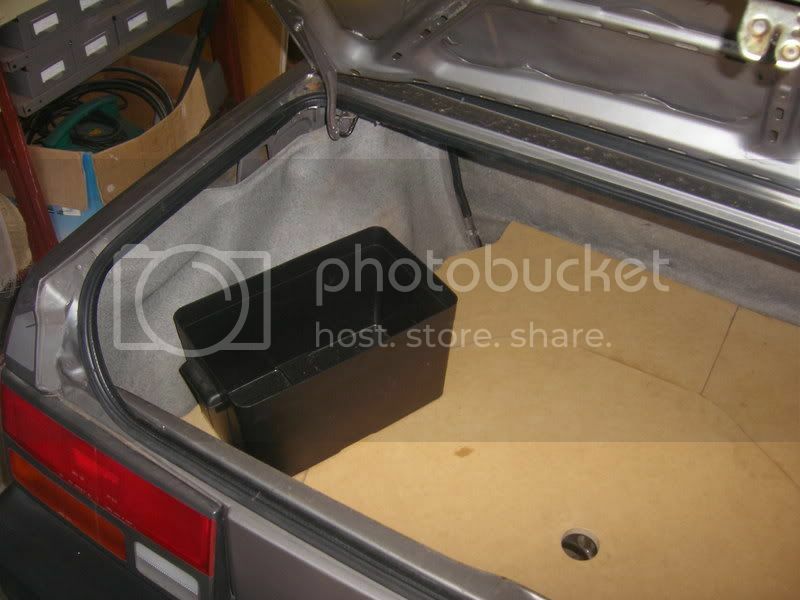 this is prooven quite simply in my Fathers BMW where all the battery's are located in the boot and last on average 12 years.. So lets begin this little excersice.. I allowed myself 2 hours for this modifcation, and i believe that you can easily do the same give or take 30mins. Step one should be to aquire all your parts. For this build i used heavy duty Battery Cable (had some but you can find at Jaycar for between $12 and $20 a meter), Jaycar 4 and 8 guage cable ends ($2 - $4.95 each), a plastic Marine switch with 2 red keys ($8.95) , a Supercheap Auto's large battery box ($19) and a Jaycar 120A circuit breaker with LED and voltage display ($49). Once you have all your bits, you can start to get the car ready. 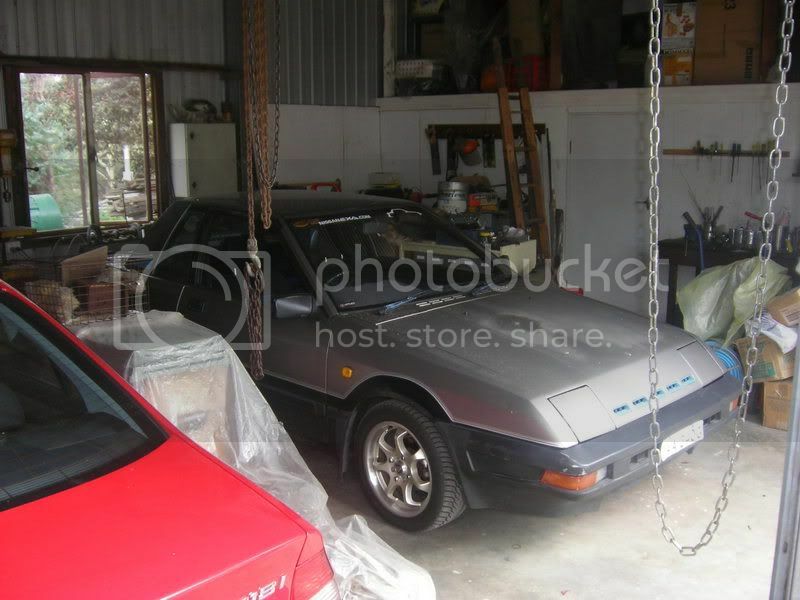 I started by moving our 4WD out of the garage to give my self some space. there is nothing worse than having no room to open the doors enough to get inside the car to remove trim and seats etc..
AS i've already installed a false floor into my N12 EXA i thought about places to mount the battery that would allow me to remove the tyre covering panel and allow access to the rear brake and indicator lights if i should need to replace a bulb at some stage. I marked the floor for an aproximate location so i could calculate cable lengths and room etc. Just a simple pencil mark for now should do. 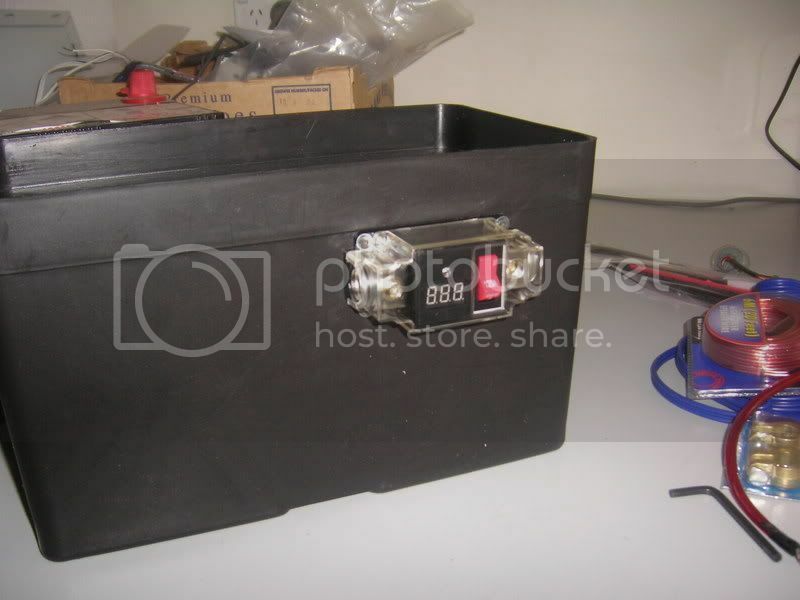 The next step you should undertake is mounting the cercuit breaker or fuse. You should always put the fuse on the positive side as close to the batter terminal as possible. that way if there is a short down the line the breaker will trip and the cable wont heat up and potentially cause a fire. 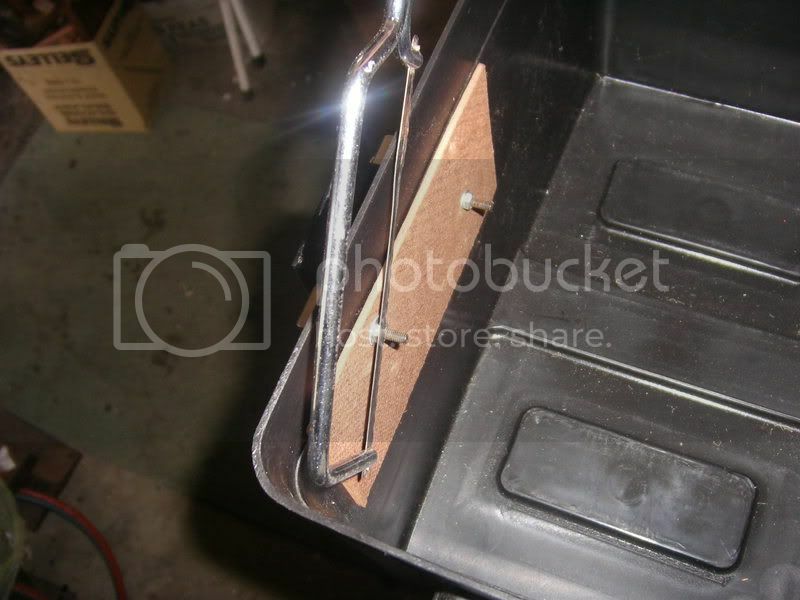 locate the breaker/fuse and drill the guide holes. Please note that this breaker requires it to be bolted to an earthing plate, but i will wire around this later becasue its mounted to plastic. 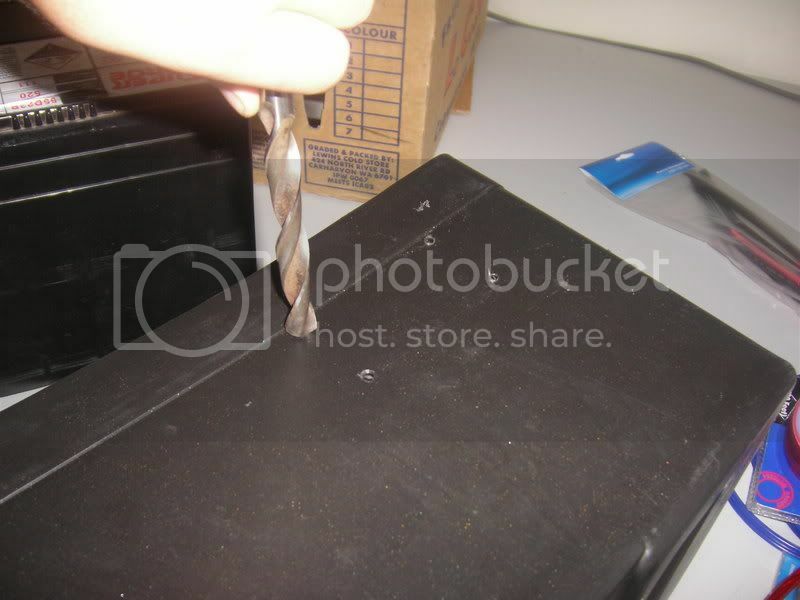 Drill the holes in the Battery Box and then make sure you use a large drill bit to 'de-bur' the faces to allow a snug fit. 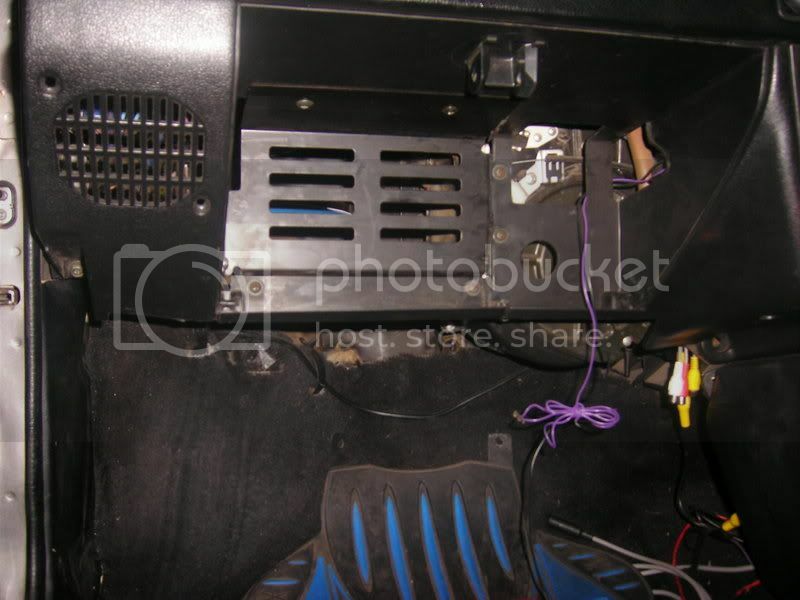 Once the holes are drilled you can mount the Breaker or Fuse and screw the bolts through. I decided to mount a piece of thin wood behind to make the setup more rigid because the heavy cables or movement might tear out the small bolts and relatively soft plastic. 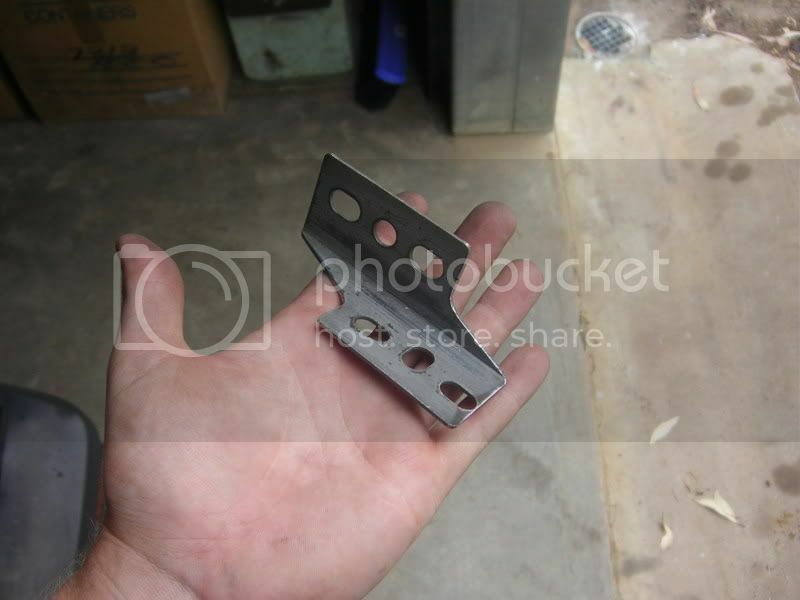 You might need to cut the bolts off and cover them from behind to protect the battery from sharp objects. 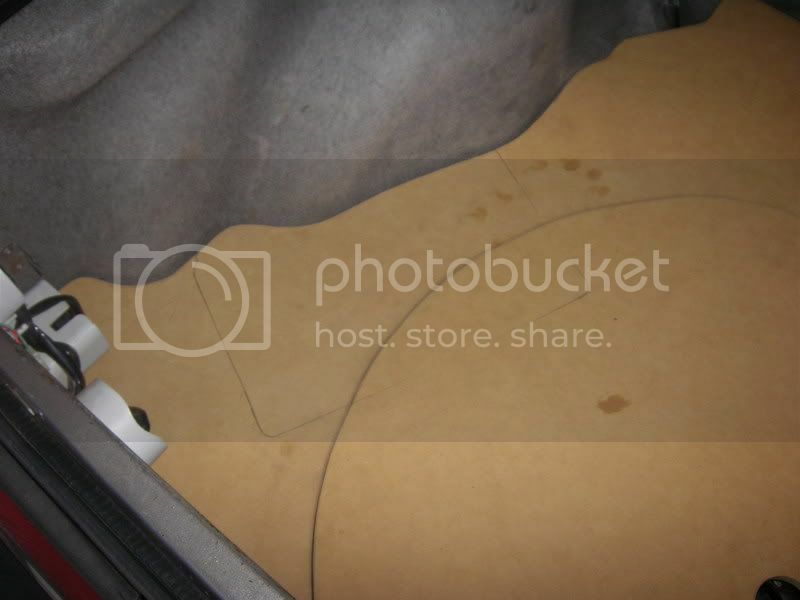 You are more than welcome to work around this box if you have intact A/C, but the job will be a dificult one with a very small working area being left. Please dont damage this as you'll need it later to run the cable through the firewall and protect it from rubbing on the bodywork. 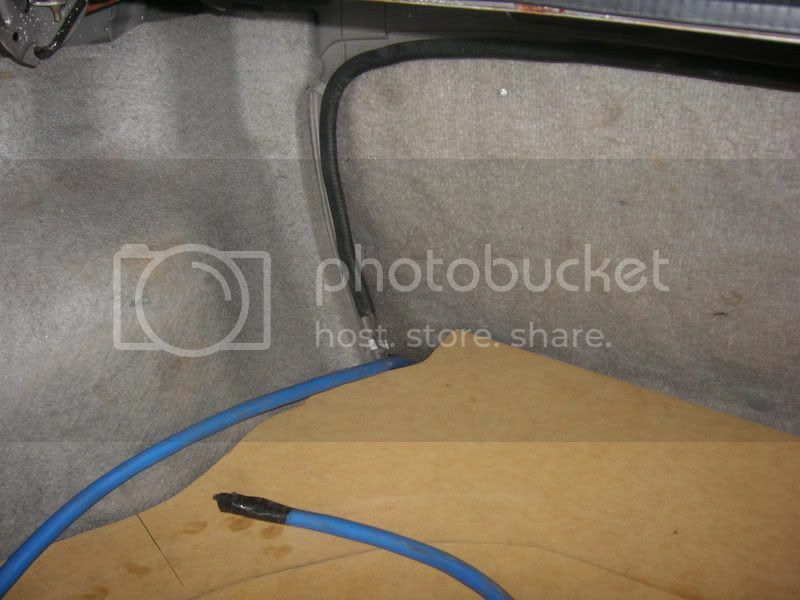 Start feeding the cable through the car.. First off through the back. 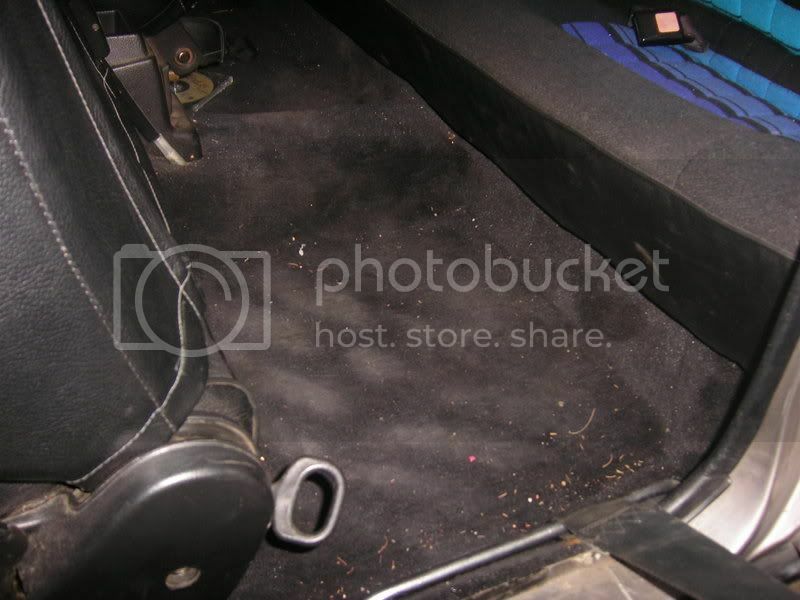 Then under the rear seat and carpet. 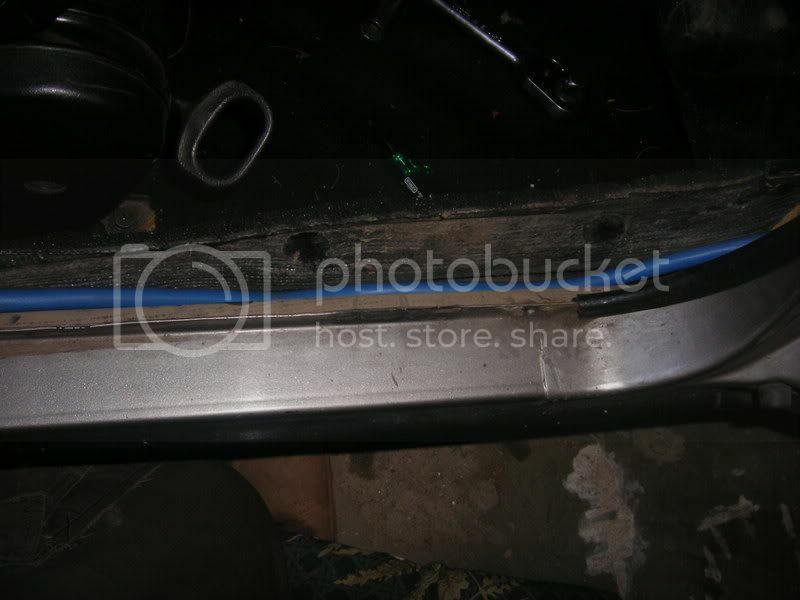 Under the seatbelt retaining rods and the side trim. And then up through the firewall via the same space provided for the computer loom and other wiring. before you ask about electrical interfeerence, i have experienced none since installing this kit. Now you've got your cable throught the firewall, you can start to cut and prepare the ends for termination. 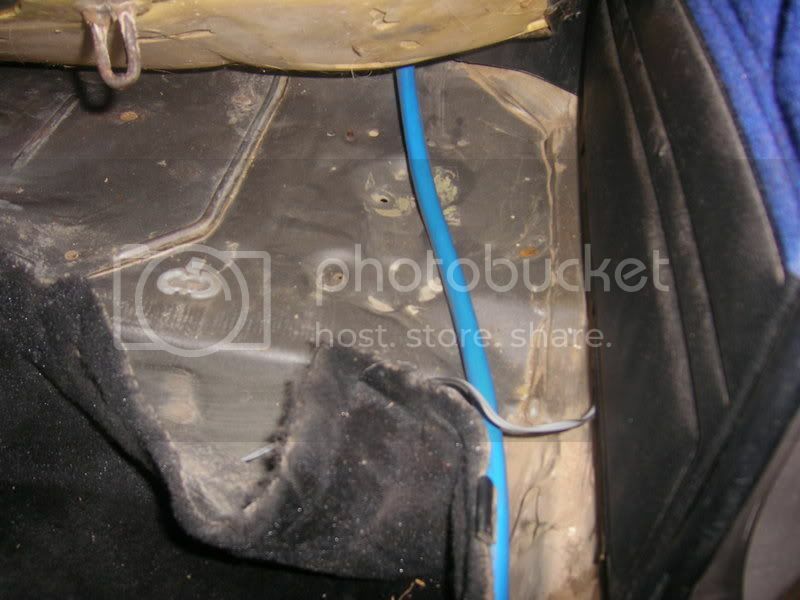 Before laying the seats and trim back into place use a rubber product to protect cable from wearing on parts of the vehicle that might cause the cable damage.. 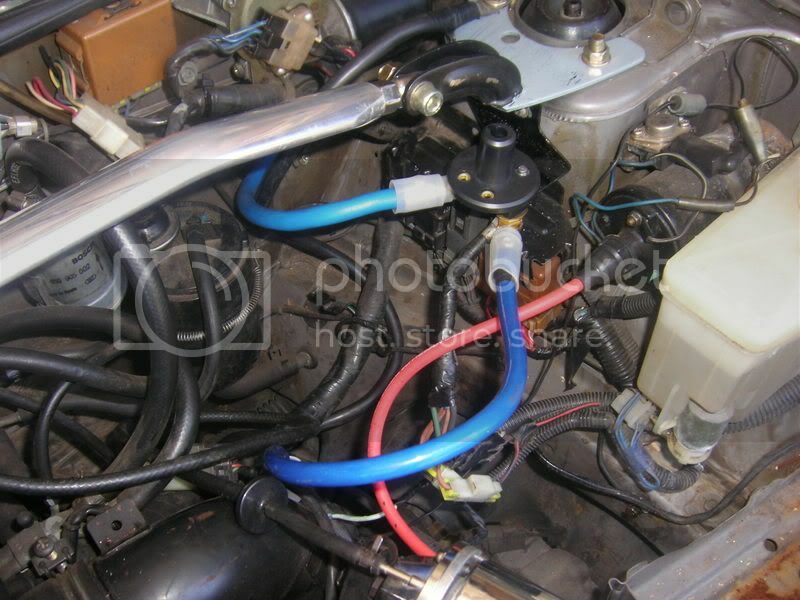 Keen Exophiles may recognise this as a heater hose and it fits perfectly around the curves in the body.. just a fluke i'd say. Now that you have replaced everything, you'll notice how invisible the cable really is.. its fantastic.. cant see it at all and it doesn't even come close to any moving parts like the seat rail, or seatbelt mounts. great job. 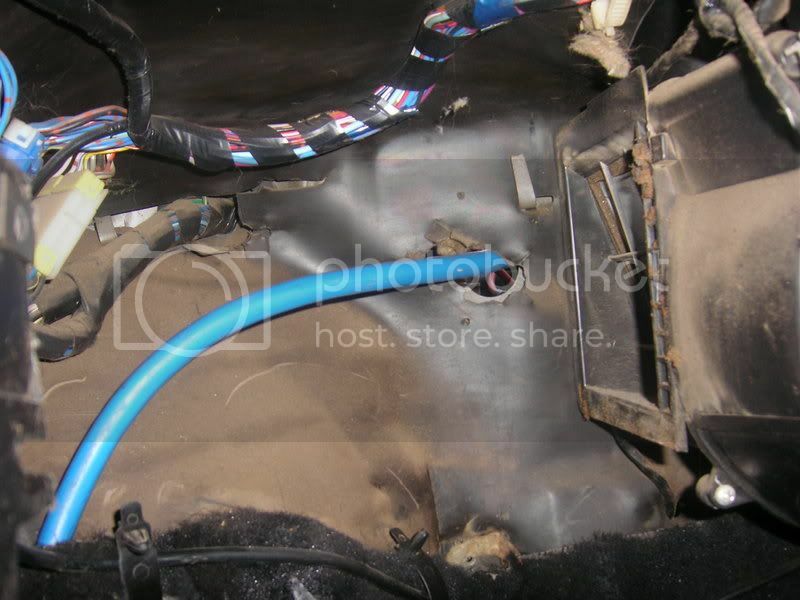 Ok. now its time to secure the cable into the engine bay. 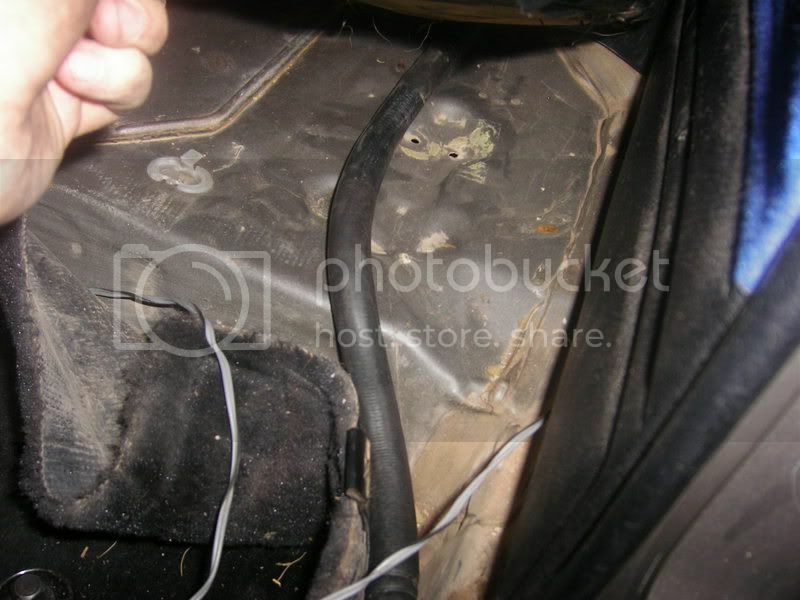 On previous cars (my brothers) the cable went straight to the starter solenoid and then branched off from there. I've decided to keep the standard wiring and fusable links and to do that i decided on a cheap Marin Switch from Sprint Autoparts for $8.95.. well worth it. Everyones mounting technique will be different but i decided to make a bracket from angle. As you can see this is a very neat install and it allows the battery to be cut off via two methods.. Marine switch and Circuit Breaker. i had to make a new power cable to the starter solenoid so i made a simple link cable from 8gauge wire (standard is 12 or 16). This looks leater and i've found that the car cranks much easier without the lights dimming. It also start on the 2nd or 3rd revolution in cold conditions. so its definately an improvement on the standard setup. You can also see the original fuseable link cables attached here as well. they had loops on the top to attach to the positive on the battery terminal so it was just a case of opening the loop out a little and attaching it to the bolt. 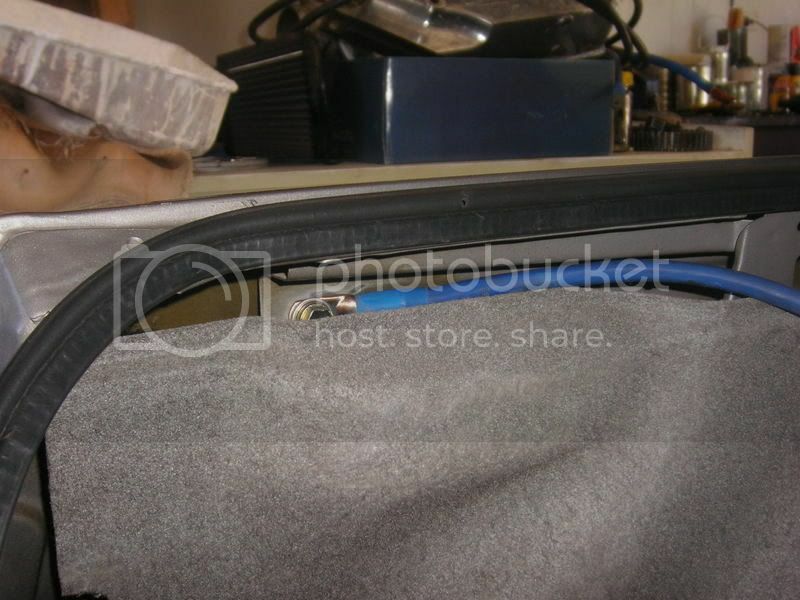 very easy and it retains the factory protection that the car requires. Now that the front of the car has been taken care of, its time to attach the rear cables.. I started by mounting the Earth to the bodywork in the back. i used an existing hole and gave it a light sand with 400grit paper to allow a metal to metal contact patch. very neat location. So.. here we go. all sorted and hooked up. looking great with the LED display. 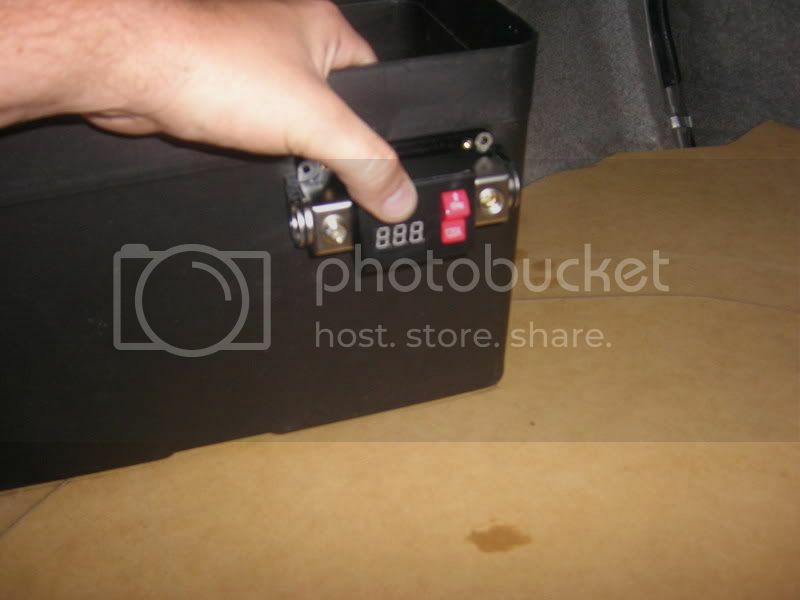 Ps.. dont forget to strap down the battery box lid with the supplied strap. I have decided to modify it further by cutting the underside off the MDF to allow easier access with the tyre cover panel. this is one of those things were even the best thought out plans can have a little hitch. Finally you'll need to add a few things for legality. 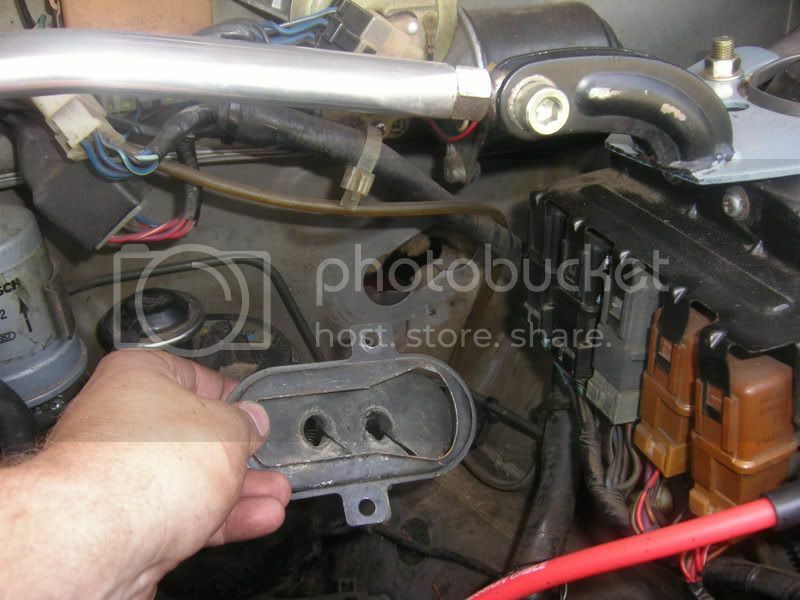 one of those things is a vent tube (to discharge the gas outside the car when the battery is charging) and the other is a metal retainer like the factory item that held the battery in place. 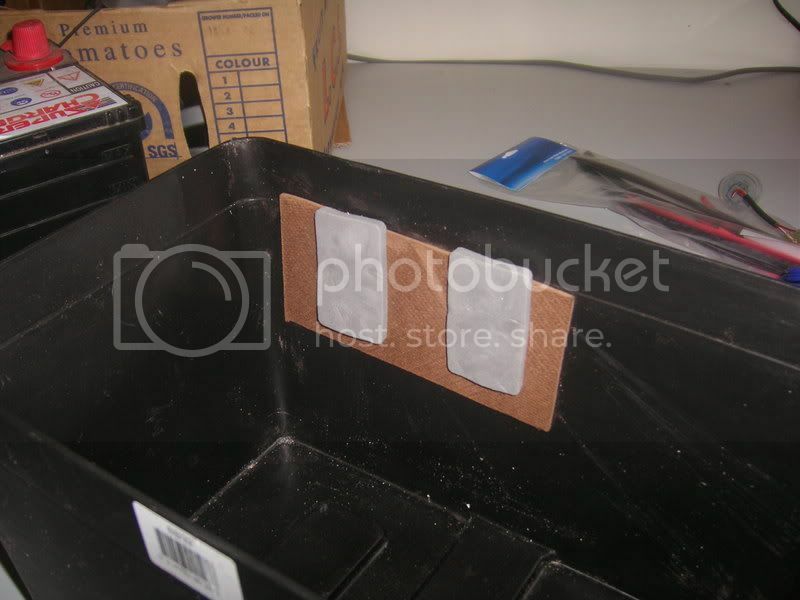 My version of the vent tube will come out the top of the box and run underthe floor to one of the drain ports or to the tyre well and out of that port. which ever is easier. Ok then. One last thing. 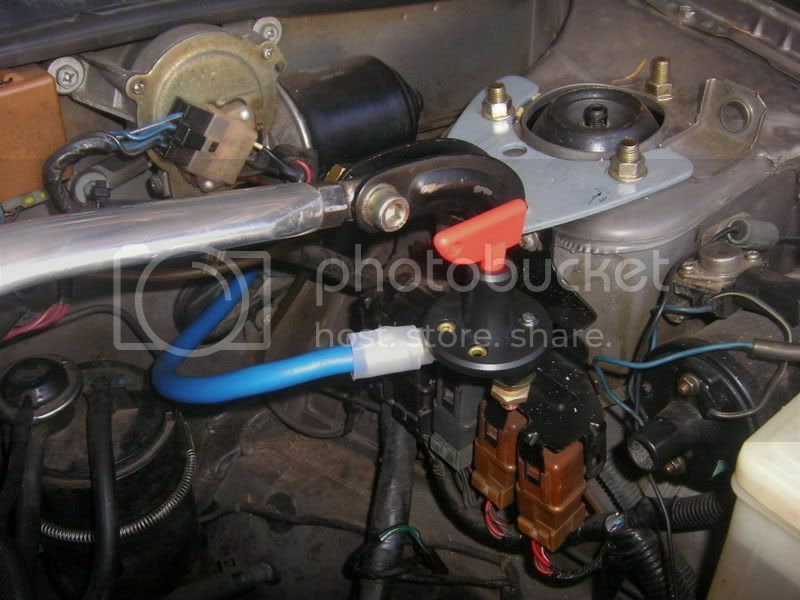 if you want to remove the battery tray, and thus your radiator overflow tank, i have a simple solution. Go find an N/A N12 and take the overflow from that. 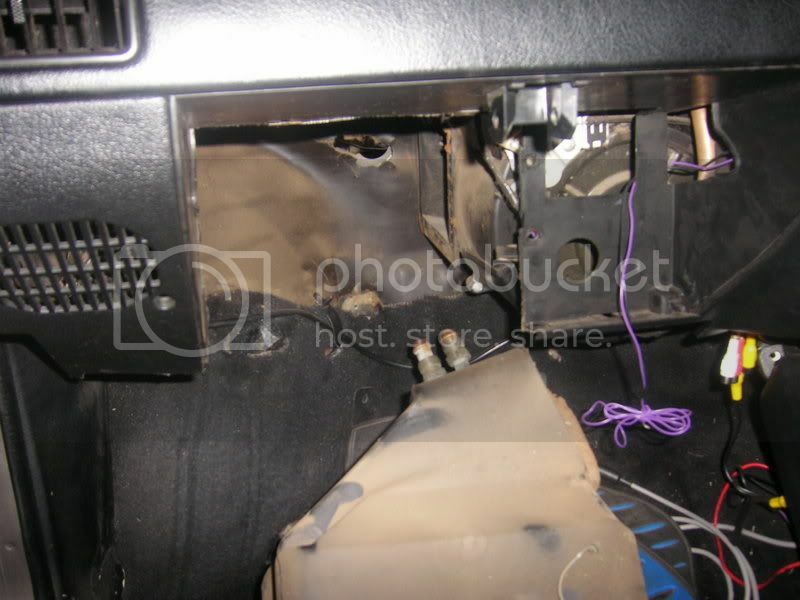 it screws into the bodywork aproximately where the original Air Filter Box was located. it uses a short hose and it looks rather trick. i'll take a photo soon and post it up.